Leadership Santa Maria Valley is an 11 month program designed to foster and create future community leaders. The program allows participants to increase their understanding of local issues, challenges and solutions while expanding their personal and professional networks and refining their leadership skills. Each Class gives back to the community with their own unique Legacy Project. Founded in 1995, Leadership Santa Maria Valley has over 330 graduates serving on boards of local organizations and in a variety of leadership roles within government, service, non-profit and business sectors today. Participants engage and interact with community and civic leaders in areas of Military/Aerospace, Cultural Arts and Diversity, Public Safety, Youth and Education, Health and Human Services, Business and Economic Development, Government, Media and Technology, and Agriculture. The unique mix of monthly day long seminars and small class atmosphere give participants an unprecedented opportunity to learn about the issues facing their community and to engage with civic leaders. Applications for next year's leadership class will be available Spring 2019. For more information, contact program coordinator Terri Oneschuck at (805) 925-2403 x 824, or email terrio@santamaria.com. Learn more about the 2019 Legacy Project! Now Accepting Applications for Leadership Santa Maria Valley Class of 2020! 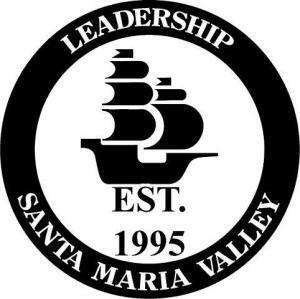 Leadership Santa Maria Valley is currently accepting applications for the Class of 2020. This will be our 25th year serving our Community and preparing future Community Leaders! To date, we have over 365 graduates from our program which began in 1995. Interviews will be held in July with our Candidate Orientation and Kick-Off Retreat scheduled for August 2019. Why should you consider Leadership Santa Maria Valley? Are you looking for a way to get more involved in the community? Do you want to expand your circle of influence within the Santa Maria Valley? Would you like to be able to network/connect with the decision makers and key leaders in our area as well as further develop your leadership skills? If so, Leadership Santa Maria Valley is the program for you! Read more in our Call for Candidates. Click the link below to download our 2020 Application! Questions? Contact Leadership Santa Maria Valley Program Director Terri Oneschuck at (805) 925-2403 x 824 or at terrio@santamaria.com. Space is limited so contact us today to reserve your spot!